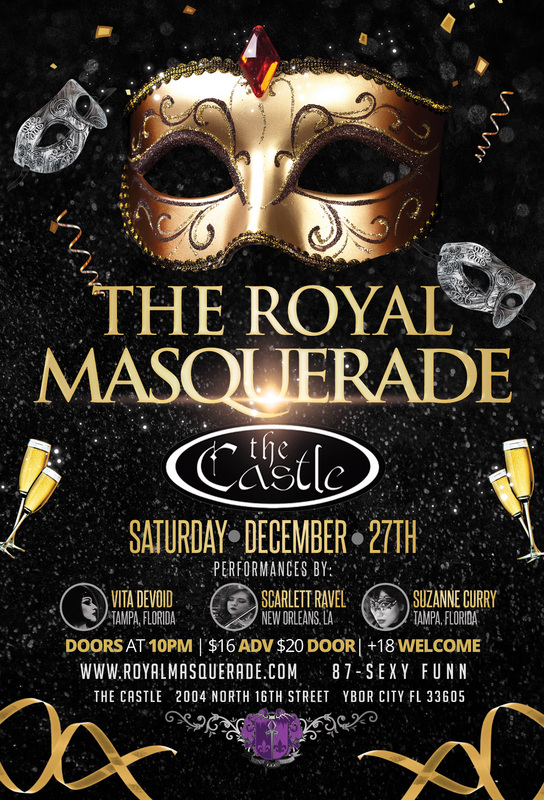 The Royal Masquerade Ball is a luscious masquerade in tribute to the sophistication of the old world. We will transport you through time to a dream of mystery and seduction. This year we are going all out! We’re bringing in the beautiful Scarlett Ravel from New Orleans to serenade you with her haunting violin throughout the night. Vita DeVoid to tempt you with her elegant burlesque. Suzanne Curry to thrill you with her Cirque style silk aerial performance. 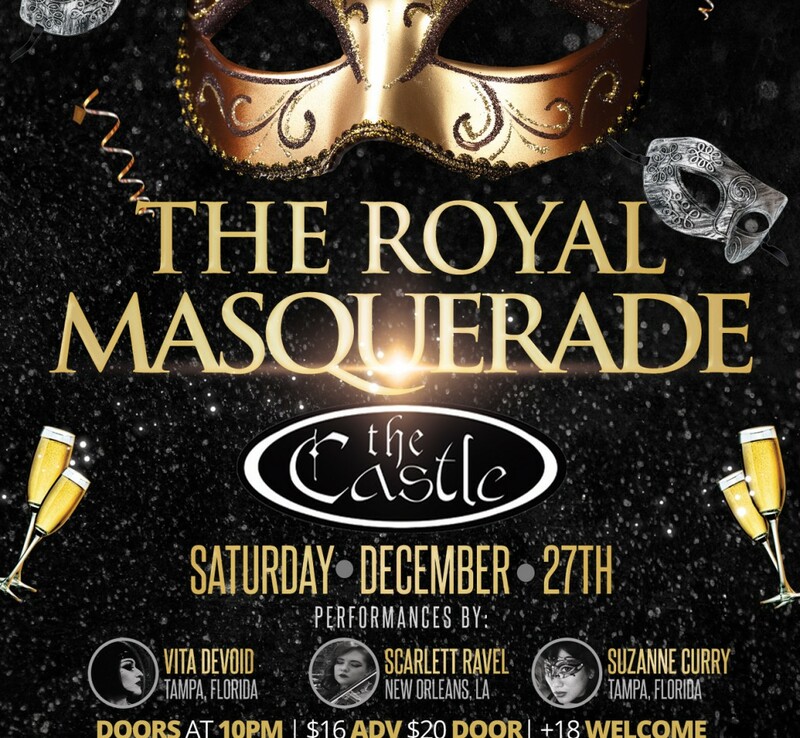 To top it all of we will have an intricately choreographed midnight waltz and balloon drop to make your evening perfect! There will also be your favorite and special guest DJ’s all night long!